With this know how you can implement any of the 754 RAM variables out of the table at page 1555, from the Bosch ME7.1 function sheet (Funktionsrahmen) document. So you can read all this values with a standard diagnostic tool. It is tested and works fine. VAGCOM, VCDS, VAG1541, VAS or other diagnostic workshop tools. Additional this is another piece of the ME7 jigsaw to understand how it works. As an example you can upgrade your ECU software and compile a set of values you want to measure. There is a 16bit LoHi table stored in flash that do this. In the RS4 8D0907551K/Q software, the table starts at hex 1D7D2. The 551M table is very close to the 551K/Q and starts at hex 1CF10. To find this table in 8bit mode, you must search for the following hex values: "50 00 02 00 0E 00 07 00 87 00 13 00 1C 00 1D 00 1F 00 20 00"
If you are searching in 16bit LoHi mode, search for "0050 0002 000E 0007 0087 0013 001C 001D 001F 0020"
These values are the first 10 values of measurement block 000. Measurement block 000 is the only exception that has 10 values. All the other blocks from 001 till 255 have always 4 measurement values. There are many empty "0" blocks, where you can implement your own data. As an example we have a look to measurement block 001 between hex 1D7E6 and 1D7ED. Here you see the 8bit hex values "01 00 50 00 1C 00 1D 00" or "0001 0050 001C 001D" in a 16bit LoHi view. If we convert it to decimal, we have the values dec 1, 80, 28 and 29. Now we have a look into the ME7 Funktionsrahmen table (decimal values!) at page 1555, and see that measurement block 001 shows NMOT, TMOTLIN, FR_W and FR2_W. measurement block 255 (hex 1DCE6 in 551K / 1D424 in 551M). To do this, we search for the needed RAM variables in the ME7.1 function sheet table (page 1555) and convert the decimal values into hex values. For a better understanding, I have uploaded the original 551K and a moded 551K with a changed MWB 255 to compare. A 551K.csv file for all known measurement blocks, and a VCDS lable file for the MWB 255 example is also uploaded. Wish you have fun with this stuff. WOW. Incredible information. Thank you so much! It is a pleasure to see what detailed informations and ideas you are posting. Thats the stuff who makes me happy. I will try it immediately in my 551D. So, I have find all the needed addresses in my 551D. By the way, a brilliant How To. Simply amazing. Great work, man! Wow, just found this today. In 16-bit lo hi of course. I'm really interested in doing this. Is there an easy way to recognise these locations in ME7's without having to go into assembler? 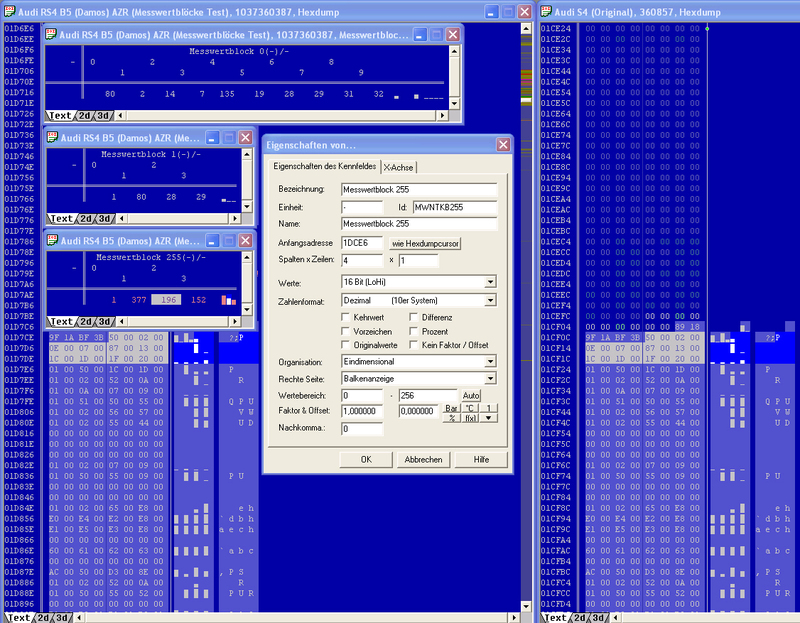 I imagine though finding the RAM locations maybe hard but I do have some A2L files which have RAM locations in. 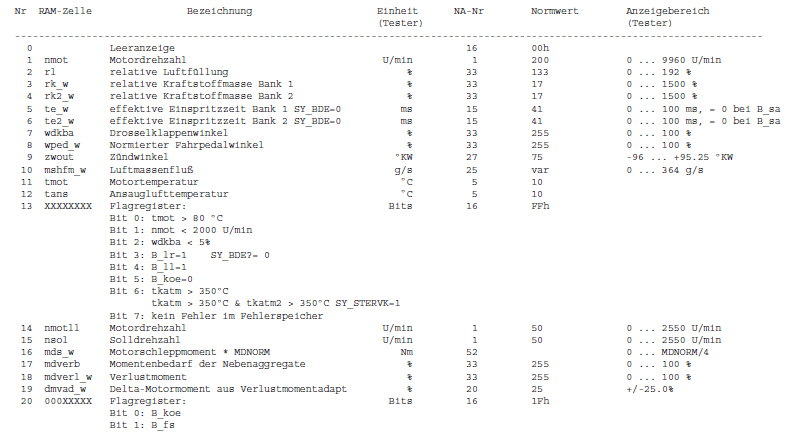 Hey, anyone knows how to fix label file so that adaptation channels would show correct data instead of 0-255 values? 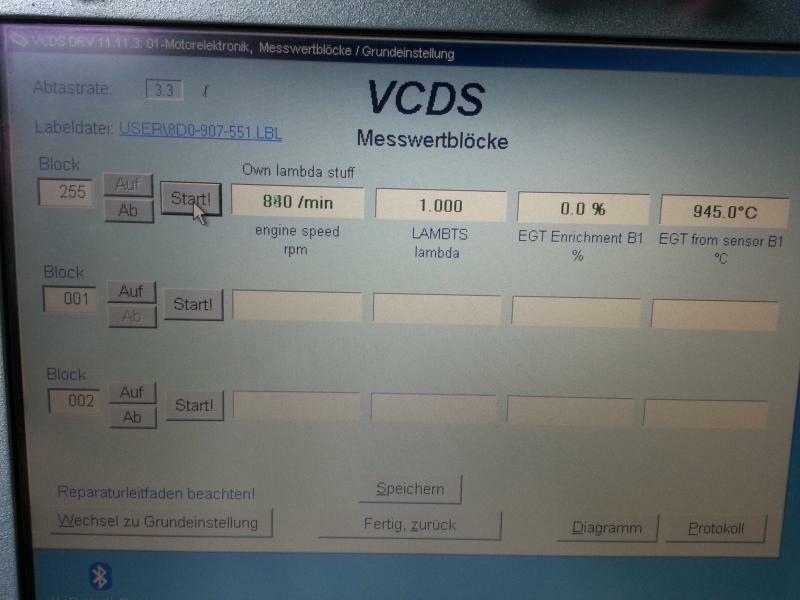 for example idle speed -1280-1270 rpm? Is it possible for MED9? I`ve try to find same data on my dump but did`n found it. How have I missed this before?! This is pretty epic information and an excellent, easy to understand write-up. I believe a Thank You is in place, better late than never.